Cooking For One: Way to Go Nancy!!!! My wife kicks a$$. Seriously she does. She finished her first 1/2 Marathon this morning. Don't believe me? Check it out for yourself. We were in a really bad position (couldn't swindle a press pass in time), but in a good enough position to cheer her on and let her know how proud we were of her!!! 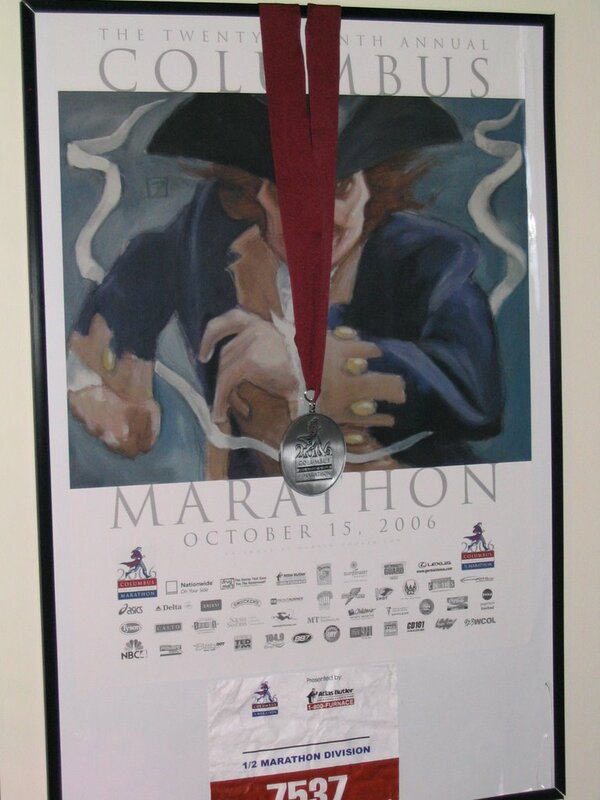 The Columbus Marathon is a pretty big deal (one of the qualifiers for the Boston Marathon as well as the Olympic trials) and this year is the first year they offered a 1/2 marathon. Out of 7500 runners and walkers, over 3000 of them were there for the 1/2 marathon. But the only one we were there for was Nancy. *UPDATE* On the off chance that this video doesn't embed properly (all told it should run about a minute or so for the full clip), you can find it here.